It’s a simple matter, even if one might lose oneself in the various details, names, places, and dates. The Caribbean Community and Common Market (CARICOM), mostly made up of Anglophone Caribbean states, decisively stood up for non-intervention in the internal affairs of states by going against the push to recognize the illegitimate and illegal claim to power by Juán Guaidó in Venezuela. Such a policy, pushed by the US’ regime change agenda, would have clearly served to undermine the authority of the elected government of President Nicolás Maduro, while legitimating foreign intervention. Just as the US today seeks the overthrow of Venezuela’s government, tomorrow it could seek the overthrow of any other government in the Americas. It is thus the Caribbean’s voice that matters most right now. On the other side, Trump’s White House is not only pushing for regime change in Venezuela, Trump’s NSA, John Bolton, has stated repeatedly that the US intends to resurrect and impose the neocolonial and plainly imperialist Monroe Doctrine—claiming effective authority to rule the Western Hemisphere. (That includes Canada, not that Canadians have bothered to take note.) Given Trump’s own stated belief that “to the victor go the spoils,” and the US’ validation of the acquisition of territory by force—backing Israel’s claim to Syria’s Golan Heights—even respect for the territorial integrity of states has gone out the window. Fundamental and basic principles of the UN Charter have thus been unilaterally shredded by the US. CARICOM stands as one impediment. Trump clearly will not let that stand. Trump has apparently resuscitated divide et impera, trying to not only pry some CARICOM members away from the main body by “dangling investment” promises in front of their eyes, but also setting the stage for CARICOM members to turn on each other. What Trump did was to invite a small, select group of Caribbean leaders—those belonging to the Lima Group (standing outside of any international body, because the Group supports regime change in violation of international law)—to visit him at his Mar-a-Lago estate. Trump thus met with St Lucia Prime Minister Allen Chastanet, Dominican Republic President Danilo Medina, Jamaica Prime Minister Andrew Holness, Haiti President Jovenel Moise, and Bahamas Prime Minister Hubert Minnis at the Mar-a-Lago estate in Palm Beach, Florida. These countries, “have all either criticized Venezuela’s Nicolas Maduro, or recognized Juan Guaido [sic] as the country’s rightful leader”. Among those in attendance, Jamaica recently announced the closure of its embassy in Venezuela, despite the parliamentary opposition in Kingston voicing serious criticisms. Reporting on these events, the Jamaica Observer instead backed CARICOM’s approach to the Venezuelan crisis, reaffirming the value of the UN Charter. As for Jamaica’s Prime Minister, Andrew Holness, he spoke of being pleased with his meeting with Trump, saying that Trump, “wants to encourage and promote a stronger relationship with the region”. (Holness appears to be confusing a “stronger relationship” with a relationship of strength.) Holness’ main concern appeared to be the promise of US investments, saying that he hoped it was “not just talk” but that there would be “instrumental action”. Yet Trump is in no position to order US companies to invest in the Caribbean—he cannot even do that in the US itself. The US is not a state-run socialist economy, where public companies obey public policy—surely Holness understands this? Nonetheless, the affair smelled of something akin to bribery, and if this was representative of Caribbean leaders “standing tall” then language has been inverted, and standing tall is a reference to the humility of beggars. One might recall how the British Colonial Office used to refer to visiting Caribbean Chief Ministers as a “beggars’ opera”. 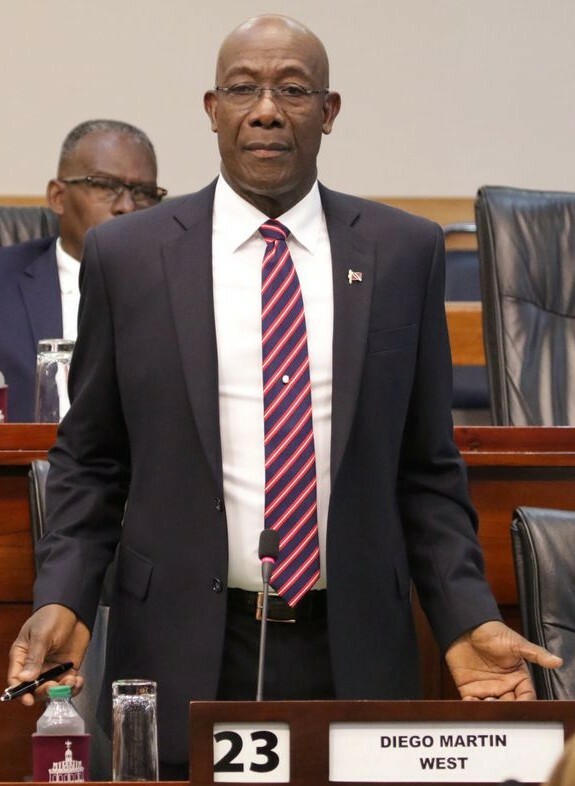 Once more, the figure standing up to Trump, and standing up for CARICOM and international law, is Trinidad & Tobago’s Prime Minister: Dr. Keith Rowley, of the ruling People’s National Movement (PNM). Dr. Rowley noted that this minority which met with Trump, which was not empowered to speak for CARICOM, were at Mar-a-Lago because they are members of the Lima Group whose objective is regime change in Venezuela. Apparently the US ambassador to Trinidad & Tobago, Joseph Mondello, said that he “viewed with concern” comments made by Rowley last month—in response, Rowley was reportedly angered and he redoubled his efforts to push CARICOM on the path of anti-intervention. The fact that other Caribbean states such as Trinidad & Tobago and the majority of CARICOM members, who oppose the Lima Group, were logically not invited—why would they be?—has been seized upon by quislings in the region who think the Caribbean’s primary duty is servitude to whomever occupies the Big House in the US. Failure to show deference to US interests, these proxies think, somehow entails a loss of status, a “loss of leadership” even. Real leaders stand up for American interests, apparently. This has been translated into accusations that those who were not at Mar-a-Lago were thus “snubbed,” and missed out on something “special”. “We do not stand tall, contrary to what Dr. Rowley has stated, we stand diminished in the region, we have lost our leadership of Caricom which we had. Jamaica now is lead­ing the way…. We’ve really abdicated the leader­ship in Caricom and we have obviously offended the United States, and while we have sovereign right to deal with our foreign relations we stand by the principles and so, we must also protect our relationships….The Unit­ed States does not need to invest in our petrochemical industry anymore. They have the most gas, natural gas in the world…. They don’t need our gas, they don’t need our oil. They are a net exporter now of both oil and gas. We have lost our economic clout”. Maraj’s message was, at best, confusing. If the US no longer needs Trinidad, and Trinidad has lost its economic clout as a result, then how would a lunch at Mar-a-Lago have altered those basic, objective economic facts? It’s not clear where Maraj’s complaint lies, but it’s also far from obvious that the facts are on his side. “In regional politics, it could be said that T&T is an opinion shaper. [Prime Minister Patrick] Manning [of the PNM] just completed a six-month tenure as Chairman of CARICOM, a period marked by a renewed emphasis on regional economic integration. T&T receives high marks for its commitment to the needs of the smaller countries of the Eastern Caribbean. Beyond CARICOM, T&T maintains correct but cool relations with Venezuela, largely due to differences of opinion over Petrocaribe and Chavez’s regional aspirations. T&T views Cuba as a Caribbean brother and maintains amicable ties. Manning regularly goes to Cuba for medical attention”. “T&T in many ways demonstrates a fierce independence; it has been immovable on several key recent U.S. foreign policy priorities. Because of former President Robinson’s role as a ‘father’ of the International Criminal Court (ICC), T&T was one of the first ICC signatories. It has not signed an Article 98 agreement with the U.S. and likely never will. T&T continues to desire and work towards good relations with Venezuela as they share a long maritime border and common energy concerns. It often defends Cuba, which it sees as a Caribbean brother. T&T, along with its neighbors, did not recognize Haiti’s interim government in the absence of a CARICOM consensus. T&T did not support the U.S. intervention in Iraq, and its media have been openly critical on this issue. T&T’s voting record at the U.N. also leaves much to be desired from a U.S. policy perspective. Most notably, T&T voted, together with its CARICOM partners, in favor of Venezuela’s candidacy for the vacant Latin American Caribbean seat on the UN Security Council”. If standing up for Trinidad & Tobago’s interests—which are not the same as American interests—is somehow weak or diminished leadership, then that case has not been proven, not even when we refer to the opinions of US diplomats themselves. Furthermore, during the same weekend that Trump was hosting a small group of Caribbean leaders, CARICOM itself held a dialogue with Juán Guaidó, in an effort to promote peaceful mediation towards an end to the crisis. Unfortunate however was the praise given by CARICOM leaders to Canada, which helped to organize the encounter. The point however is that if CARICOM did not matter, then not even Trump’s instrument in Venezuela would seem to agree—as Trump met with a splinter group, Guaidó spoke with representatives of the larger body, and both events happened at nearly the same time. Who Was Invited to the Man’s House? Rather than come out and call them “treacherous servants,” the politically correct term for amplifiers of US power is “force multipliers”. On the same day that Trump announced his Mar-a-Lago meeting, the Leader of the Opposition in Trinidad & Tobago, former Prime Minister Kam­la Per­sad-Bisses­sar of the United National Congress, met with the US Am­bas­sador in Port of Spain. It’s not the first time that Persad-Bissessar, while in the Opposition, has gone to the US Embassy to have private meetings to talk about Trinidadian affairs, slanted in a way that always favoured American interests and those of her party. The party attacking Prime Minister Rowley for not being servile enough to get an invitation to Mar-a-Lago, has a history of going in secret to the US Embassy to lay out its complaints about domestic political matters for the American ambassador to consider—perhaps this is what they mean by “leadership”. From their perspective a figure like Juán Guaidó must be one of the world’s greatest living “leaders”. The UNC is a party that mostly represents Trinidad’s population of East Indian descendants, which for generations have vied for power against the African-descended population that is mostly represented by the ruling People’s National Movement (PNM). The PNM led the country to independence in 1962, and its leadership was responsible for expelling the US from its air and naval bases in Trinidad. The PNM also nationalized Trinidad & Tobago’s oil and gas industry, and did substantial work in trying to build a nation. The UNC has long had a particularly cozy relationship with the US, and it’s no secret that many of its followers tend to hold in high esteem all things coded White, looking up to the Global North, with neither the White House nor Donald Trump personally being any exception of course. In fact, the UNC’s long-standing former leader, Basdeo Panday, was the Prime Minister who personally hosted Donald Trump when he traveled to Trinidad for the 1999 Miss Universe Pageant. Trump and Panday spent time dining and golfing together, and apparently the experience made a positive impression on Trump. 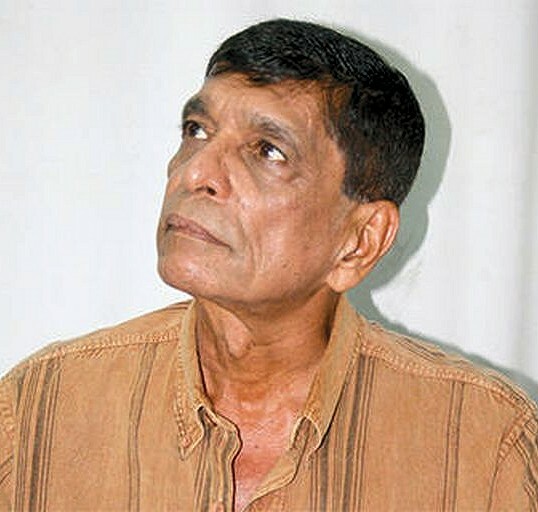 A few years later, Panday would find himself jailed on corruption charges. While Trinidadian politics are not organized along left vs. right lines (mistakenly assumed to be universal by most North American and many European writers)—the UNC has nevertheless on occasion lambasted opponents, in a manner uncharacteristic of Trinidad politicians, as “communists”. The UNC’s stance on Venezuela, since the rise of Hugo Chávez, has been consistently hostile to the Bolivarian Revolution. It was thus telling that this cable, as published by WikiLeaks, showed that, “on October 3 , the [US] Ambassador met with Opposition United National Congress (UNC) Deputy Political Leader Senator Wade Mark, at Mark’s request,” and during that meeting the UNC’s Wade Mark not only assured the US that a future UNC government would favour US interests, but he went as far as linking the then PNM Prime Minister, Patrick Manning, with radical Muslim terrorism—and then linked the PNM and Hugo Chávez to Muslim terrorism. Wade Mark was purposely baiting the US, knowing that the US Embassy was keeping a keen eye on Muslim groups in the country, at the height of the US’ so-called “Global War on Terror”. “Mark said his purpose was to express to the Ambassador the UNC’s shock at the sudden assault on the United States unleashed by Prime Minister Patrick Manning, in his September 5 address before energy industry executives and members of the diplomatic corps….Mark wished to reassure the Ambassador that a UNC administration would re-establish with the US the same friendly and cooperative relations which has characterized the 1995-2001 period when then UNC Prime Minister Basdeo Panday and Secretary of State Warren Christopher signed an extradition treaty, a mutual legal assistance treaty and an agreement on maritime law enforcement. Mark went on to say that UNC concern with Manning’s undiplomatic outburst was heightened by the fact that Minister of Energy and Energy Industries Dr. Lenny Saith has reportedly signed a memorandum of understanding with Mexico according to which a portion of the liquefied natural gas currently exported by T&T to the US would be assigned to Mexico instead. Such an action could not help but have serious national security implications for T&T, given that T&T depends for much of its food imports on the US. The Ambassador listened to Mark and acknowledged that the Prime Minister’s September 5 criticism of the US had taken him by surprise, too. “Mark then launched into a litany of allegations and rumors whose veracity it is impossible to gauge. He said it was the UNC’s understanding that newly-appointed foreign minister Arnold Piggott…had, while serving as High Commissioner to Canada, met with elements associated with Al-Qaeda and Hezbollah. (Note: Post has no reason to believe that this is true and has not heard this rumor from any other source). He went on to say that three ships carrying rocket launchers as well as members of Hezbollah, which had left Syria in August en route to Argentina, were diverted to Venezuela’s Margarita island where a Hezbollah base was to be established with the aim of targeting the US. (Note: Post has heard this claim elsewhere, although embassy Caracas would be better placed to ascertain whether it is fact or fiction). It is from within this fold that Prime Minister Rowley was seen as being “snubbed” by Trump, and that Trinidad lost its leadership status. It’s not surprising then, and in fact it’s quite logical, that on a previous occasion in Parliament, Dr. Rowley blasted the opposition UNC as “traitors”. Canada’s government could learn a great deal—first of all, about international law and the UN Charter—from listening to Prime Minister Rowley. Instead, rather than having the post-national state as Justin Trudeau remarked, Canada has more of a post-government state, one that functions almost on auto-pilot by hiring technocrats who are “skilled” in “reading the signals coming out of Washington”. As studious imitators, they would have been well prepared by “universities” in Canada since they are largely just retail outlets for American academic production, training Canadians in the high art of consuming American books, American journals, and traveling to American conferences. “the crisis in Venezuela is unfolding in Canada’s global backyard. This is our neighbourhood. We have a direct interest in what happens in our hemisphere”. Peter Boehm, a Canadian “diplomat,” seconded Freeland, telling the CBC: “This is our backyard, the Western hemisphere. We have a role here too”. Funny, how the front yard thinks it owns a backyard, ignoring the Big House standing between the two and claiming ownership of both. What both Freeland and Boehm miss, obviously, is that from the US’ standpoint, we are all backyard. Canada itself has no backyard, apart from its internal colonies—and there is no such thing as a “global backyard”. Canada is a semi-peripheral state which, like two centuries ago, still specializes in exporting raw materials. Lacking national leadership means that, in practice, there has been virtually no distinction of any substance that can be made between Donald Trump and Justin Trudeau, apart from superficial matters like style, tone, and virtue signalling (and sometimes not even then). Lacking an independent national government, and worse yet having one that thinks it’s American, means that it has been easy for Trump to effectively dictate terms to Canada and offload some of the costs of US foreign policy onto Canada, with no reward in return for Canada. Whether it is unrelenting trade tariffs, surrender/renegotiation of NAFTA to favour US interests even more, the transfer of asylum-seekers, or the consequences of dragging Canada into the geopolitical conflict between the US and China—Canada under Justin Trudeau has been haemorrhaging both political and economic capital to the US. One ironic and sad consequence is that this has only strengthened Canada’s Conservatives—with all of their supposed “agency,” Canadians vote for either Tweedledee or Tweedledum, generation after generation, and all of the parties are beginning to look and sound alike. With respect to Venezuela, that means more of the same. Alexander, Gail. (2019). “PM dismisses Trump meeting snub talk: We’ve never stood taller”. The Guardian, March 21. ————— . (2019). “Trump announces new sanctions on Venezuela; Caricom division not new – PM”. The Guardian, March 22. CARICOM. (2019). “Meeting Between CARICOM Foreign Ministers Delegation and Mr. Juan Guaidó”. CARICOM Today, March 24. CBS. (2019). “Trump meets with Caribbean leaders at Mar-a-Lago”. CBS News, March 22. Christopher, Peter. (2019). “Maraj: T&T has lost leadership of Caricom”. The Guardian, March 22. Douglas, Sean. (2019). “‘No tear in TT/US relationship’”. Newsday, March 23. Editors. (2019). “Resolving the Venezuelan crisis”. Jamaica Observer, March 24. Engler, Yves. (2019). “Is Trudeau’s Venezuela policy the Monroe Doctrine reborn?” Canadian Dimension, February 20. Forte, Maximilian C. (2018). “Trade War and the Nationalist Exchange: Trudeau Trails Trump”. Zero Anthropology, June 1. ————— . (2018). “Better Off Without NAFTA, Part 2: Canada—Localized Profit, but a Net Outflow of Capital”. Zero Anthropology, June 7. ————— . (2018). “Review of 2018, Part 4 (October–December): Nationalism, Deglobalization, plus the US exit from Syria”. Zero Anthropology, December 23. ————— . (2019). “Against Intervention in Venezuela: The Case of the Caribbean Community”. Zero Anthropology, February 6. ————— . (2019). “A War for Oil: The US Economic War on Venezuela”. Zero Anthropology, February 12. Gleaner. (2019). “Jamaica to temporarily close Venezuelan embassy”. The Gleaner, March 20. ————— . (2019). “Jamaica not abandoning Venezuela – Johnson Smith”. The Gleaner, March 22. ————— . (2019). “CARICOM foreign ministers hail meeting with Venezuela’s Guaido as a significant step to peaceful resolution to crisis”. The Gleaner, March 24. Guanaguanare. (2011). “Slouching Towards The National Security State…”. Guanaguanare: The Laughing Gull, November 24. Hassanali, Shaliza. (2019). “Rowley’s ‘traitor’ comment causes Parliament uproar”. The Guardian, February 1. Jamaica Observer. (2019). “Trump meeting scorn: Rowley dismisses suggestion T’dad snubbed by US, says countries invited are part of Lima Group”. Jamaica Observer, March 22. ————— . (2019). “Holness pleased with two-hour talks with Trump”. Jamaica Observer, March 24. Kennedy-Glans, Donna, & Hill, Don. (2018). “Trudeau’s neglect of the nation has led us to this place”. CBC News, December 8. Larison, Daniel. (2017). “Venezuela and Our Stupid Obsession with U.S. ‘Leadership’”. The American Conservative, April 17. Lawrence, Ken. (2005). The World According to Trump: An Unauthorized Portrait in His Own Words. Kansas City: Andrews McMeel Publishing. Pagliccia, Nino. (2019). “Is Venezuela Canada’s Modern Day El Dorado?” Venezuelanalysis.com, February 18. Rampton, Roberta. (2019). “Trump Dangles Investment to Caribbean Leaders Who Back Venezuela’s Guaido”. U.S. News & World Report, March 22. RJR. (2019). “CARICOMʼs split position on Venezuela regrettable, says Antigua-Barbuda”. RJR News, March 22. RT. (2019). “Bolton’s ‘Monroe Doctrine’ remark on Venezuela arrogant & insulting to all of Latin America – Lavrov”. RT.com, March 4. ————— . “Bolton says Trump ‘very serious’ about ‘all options’ as Venezuela dismantles ‘terrorist cell’”. RT.com, March 22. Starr, Katharine. (2019). “What to expect from Monday’s emergency summit on Venezuela”. CBC News, February 2. Todd, Douglas. (2016). “The dangers of Trudeau’s ‘postnational’ Canada”. Vancouver Sun, April 28. US Embassy—Trinidad & Tobago. (2006). “Trinidad: Bi-Weekly Political Roundup”. Port of Spain, Trinidad: US Embassy, February 1. Cable ID: 06PORTOFSPAIN152_a. ————— . (2006). “UNC Executive: PNM’s Out to Get Us, but Panday’s Still Fighting”. Port of Spain, Trinidad: US Embassy, April 28. Cable ID: 06PORTOFSPAIN521_a. ————— . (2006). “Scenesetter for DHS Secretary Chertoff’s Visit To T&T”. Port of Spain, Trinidad: US Embassy, August 3. Cable ID: 06PORTOFSPAIN920_a. ————— . (2006). “Opposition Leader: PM has Terrorist Links, is Anti-American and Dictatorial”. Port of Spain, Trinidad: US Embassy, October 20. Cable ID: 06PORTOFSPAIN1214_a. ————— . (2007). “Scenesetter for Energy Infrastructure Pre-Assessment Visit”. Port of Spain, Trinidad: US Embassy, October 10. Cable ID: 07PORTOFSPAIN1019_a. ————— . (2008). “Scenesetter for Visit of Secretary of Energy”. Port of Spain, Trinidad: US Embassy, October 10. Cable ID: 08PORTOFSPAIN208_a. ————— . (2008). “Scenesetter for Visit of Deputy Secretary of Defense and SOUTHCOM Deputy Commander General Spears”. Port of Spain, Trinidad: US Embassy, September 30. Cable ID: 08PORTOFSPAIN443_a. ————— . (2008). “Scenesetter for Visit of WHA Director of Caribbean Affairs Velia De Pirro”. Port of Spain, Trinidad: US Embassy, October 10. Cable ID: 08PORTOFSPAIN144_a. ————— . (2009). “US Embassy Meets with Opposition to Discuss Legislative Agenda”. Port of Spain, Trinidad: US Embassy, June 9. Cable ID: 09PORTOFSPAIN256_a. Vlach, John Michael. (1993). Back of the Big House: The Architecture of Plantation Slavery. Chapel Hill, NC: University of North Carolina Press. Wittes, Tamara Cofman, & Goldenberg, Ilan. (2019). “Trump’s Golan Fiasco”. Politico, March 22. Zimonjic, Peter, & Kapelos, Vassy. (2019). “Time for Canada to drop the ‘white gloves’ in diplomatic feud with China, says ex-diplomat”. CBC News, March 22.